If you don’t want to spend money on a psychic, you can become your own foreteller. Buy a deck of Tarot cards and a book that tells you how to interpret them. Study the images on the cards and familiarize yourself with their meanings. 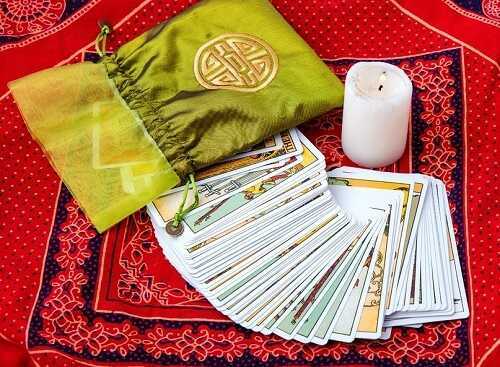 The pictures on the cards provide you with clues as to their meanings and the book will provide you with layouts that allow you to do your own readings.